King Abdullah of Saudi Arabia has warned that extremists could attack Europe and the US if there is not a strong international response to terrorism after the Islamic State (ISIS) seized a wide territory across Iraq and Syria. While not mentioning any terrorist groups by name, King Abdullah‘s statement appeared aimed at drawing Washington and NATO forces into a wider fight against ISIS and its supporters in the region. Saudi Arabia openly backs rebels fighting Syrian President Bashar Assad, but is concerned that the breakaway al-Qaeda group could also turn those very same weapons on the kingdom. “I am certain that after a month they will reach Europe and, after another month, America,” King Abdullah said at a reception for foreign ambassadors on August 29. 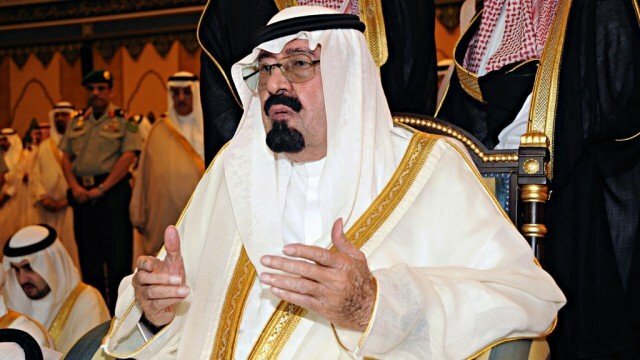 “These terrorists do not know the name of humanity and you have witnessed them severing heads and giving them to children to walk with in the street,” the king said, urging the ambassadors to relay his message directly to their heads of state. ISIS has been fighting moderate rebels, other extremists and Assad’s forces in Syria for nearly three years. Iraq has faced an onslaught by the Sunni extremists and their supporters since early this year, and the country continues to be roiled by instability. While providing arms and support to Sunni militants in Syria, Saudi Arabia has denied directly funding or backing the Islamic State group. British officials raised the country’s terror threat level on August 29 to “severe,” its second-highest level, because of developments in Iraq and Syria. The White House has said it does not expect the US to bump up its terrorism threat warning level. Saudi Arabia, a major US ally in the region, has taken an increasingly active role in criticizing the ISIS group. Earlier this month, the country’s top cleric described the Islamic State group and al-Qaeda as Islam’s No. 1 enemy and said that Muslims have been their first victims. State-backed Saudi clerics who once openly called on citizens to fight in Syria can now face steep punishment and the kingdom has threatened to imprison its citizens who fight in Syria and Iraq. A decade ago, al-Qaeda militants launched a string of attacks in Saudi Arabia aimed at toppling the monarchy. Saudi officials responded with a massive crackdown that saw many flee to neighboring Yemen. In the time since, the kingdom has not seen any massive attacks, though it has imprisoned suspected militants and sentenced others to death.